Home » Events » My Top Vocal Coaches from New York…. My Top Vocal Coaches from New York…. I studied for years with the amazing Vocal Coach Marty Lawrence (†), and his son Don. I learned excellent Voice Techniques from this Father and Son team! A Vocal Technique that I still use & practice in my singing today! I enjoy sharing all that I’ve learned from my fantastic singing teachers in NYC. I like helping other singers to sing their best too! Singing is a lifetime adventure… I never could have done it without the help of my Singing Coaches. The most experienced coach at the Super Bowl on Feb. 5 won’t be worrying about his team’s passing game. He will be making sure his star student hits her high notes. 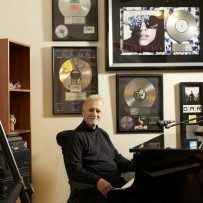 Vocal coach Don Lawrence is prepping pop powerhouse Lady Gaga this week for her performance at the Super Bowl halftime show—music’s biggest marketing moment, watched by more than 100 million television viewers. “I’ve been planning this since I was four,” Gaga says in a halftime-show preview video. The 30-year-old singer never lip-syncs or uses backing tracks for her vocals, which has become common for high-profile events. Last year, when she belted out a blistering rendition of the national anthem at Super Bowl 50, CBS wanted an emergency backing track just in case. Gaga refused, Mr. Lawrence says. Gaga’s halftime extravaganza represents the latest achievement of Mr. Lawrence’s nearly five-decade career. The 71-year-old coach began training Gaga 17 years ago, when she was a 13-year-old student on Manhattan’s Upper West Side named Stefani Joanne Angelina Germanotta. Mr. Lawrence’s nephew heard her singing in a clothing boutique he ran and recommended her to Don. During their first lesson, in Mr. Lawrence’s studio near 72nd Street and Broadway in Manhattan, Gaga’s mother sat outside in a waiting room. “Within three months, I knew this girl was going to be it,” Mr. Lawrence says. Mr. Lawrence uses a classical technique associated with opera singers and has attracted an avid following among rock and pop’s top talent. 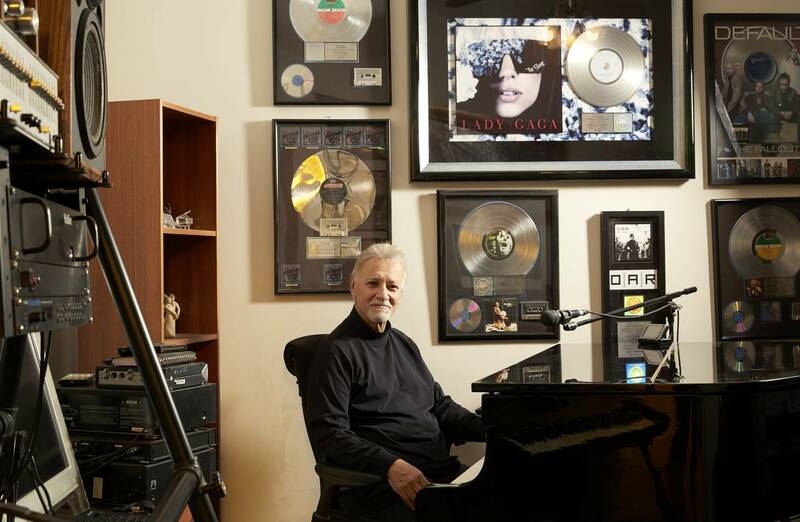 His clients have included Mick Jagger, Axl Rose, Bono, Courtney Love and Christina Aguilera, among many others. When Tony Bennett’s granddaughter and Frank Sinatra’s daughter wanted lessons, they visited Don. A decade ago, Mr. Lawrence met Mr. Rose in a Manhattan hotel room just a few hours before a gig. After some reluctance, Mr. Rose took to Mr. Lawrence’s exercises; they’ve worked two more times since. “To this day, Axl warms up to [a tape of] me—warming up with Don,” Mr. Bach says. Vocal instruction runs in Mr. Lawrence’s family. His father Martin trained singers for more than 50 years before he passed away in 2000. Growing up in Brooklyn’s Bensonhurst neighborhood, the young Don Lawrence sat beneath the piano as his father taught. “I learned through osmosis,” he says. Many current pop acts lip-sync or use pitch-correcting tools in concert. Older performers may sing in lower, less-challenging keys, or “give the mic to the audience” (have the audience sing) to avoid tough notes. Yet even septuagenarian singers can keep their voices clean and bright if they practice and avoid drinking and smoking, Mr. Lawrence says. After one drink, vocal cords are dry for four days. Mick Jagger, 73 years old, calls Mr. Lawrence two months before a project. “I’ve asked him, when was the last time you sang? And he’ll say, ‘Oh, about a year and a half ago. I think I sang a little in the bathtub,’” Mr. Lawrence says. At first, Mr. Jagger’s regimen involves singing for 30 minutes—sometimes using Otis Redding songs—followed by 30 to 45 minutes of rest. As the project nears, Mr. Jagger sings for two hours a day, six days a week. There are emergencies. On the Rolling Stones’ 2003 “Licks” Tour, Mr. Jagger had a throat infection before a London show. Mr. Lawrence jumped on a plane and in 24 hours helped Mr. Jagger through the gig. “Five doctors said he shouldn’t sing,” Mr. Lawrence says. At the heart of Mr. Lawrence’s approach is a centuries-old Italian technique called bel canto that he and his father modernized for pop singers. With the technique, Mr. Lawrence expands a singer’s vocal range, adding to the performer’s arsenal. For instance, instead of automatically switching from a chest-based voice to a head-based voice for higher notes, Gaga “has learned to take the ‘chest voice’ up—to high F or G above high C,” Mr. Lawrence says. That makes those higher notes more resonant. There can be practical limitations: Just because a singer can sing in a higher and more emotionally gripping key doesn’t mean the surrounding musicians will want to change their playing accordingly. For Sunday’s Super Bowl, Mr. Lawrence, a sprightly man with short-cropped gray hair and four grown children, has flown from his home in suburban New Jersey to Houston’s NRG Stadium. He will work with Gaga for six days—from Tuesday until showtime. On tour, Gaga warms up with Mr. Lawrence by phone before each show, whether in Jacksonville, Fla., or Japan. “Four o’clock in the morning—I’m there,” he says. For big events like the Super Bowl, one-on-one interaction with eye contact helps. “No distractions,” he says.